FEATURE: Business Class Aviator, "Providing Discounted Business Class and First Class fares"
Would you like to travel but so sick of the economy flights and want to level up your flying experience? Now, you can do that with Business Class Aviator! You can now fly in business or first class without breaking the bank. Guess what I found recently. 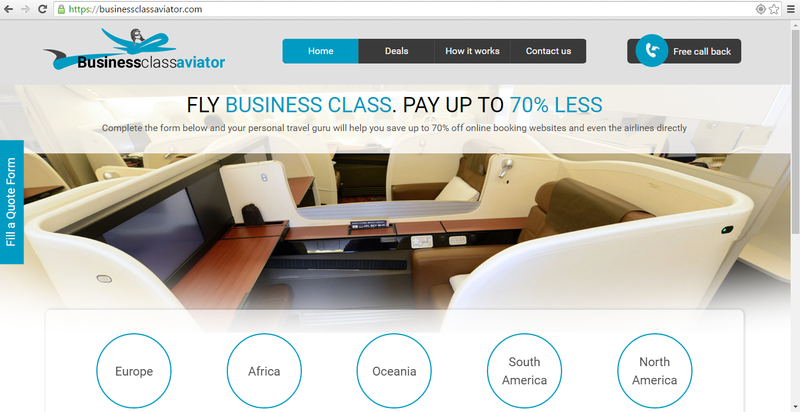 Business Class Aviator is a new flight booking website that provides heavily discounted Business Class and First Class fares. And when they say heavily discounted fares, it means half the price or even more! 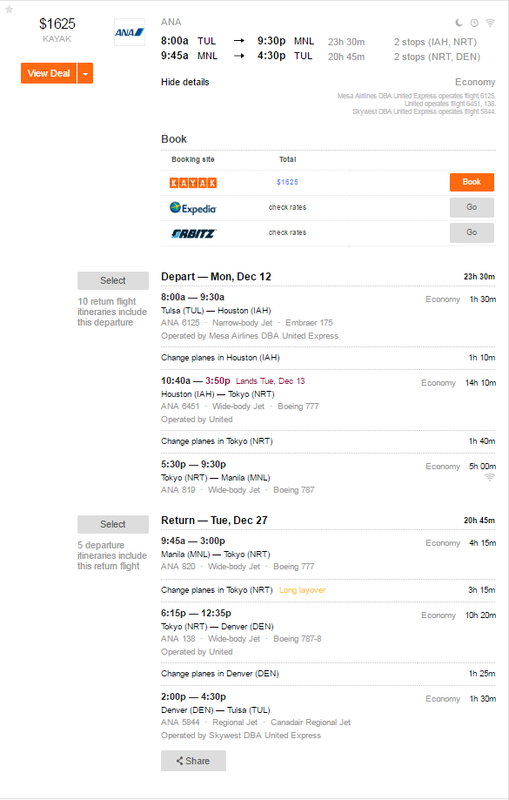 BusinessClassAviator.com is working with big airline companies that need to fill up seats when they have empty cabins, so that they can sell it at a fraction of the cost. There are so many websites and companies that offer great deals and discounts for the customers in economy class, but what makes Business Class Aviator different is that they offer affordable fares for business and first class flights. They not only provide better pricing, but also let you experience flying in the world’s best cabins. They always make sure to exceed your expectations when it comes to your business and first class flying experience. Not only that, Business Class Aviator is a hassle free booking. Why? Because you don’t have to waste time on waiting for long responses, fill in line on long queues, research for the cheapest airline, and struggle in booking for the right seat and date that you want. 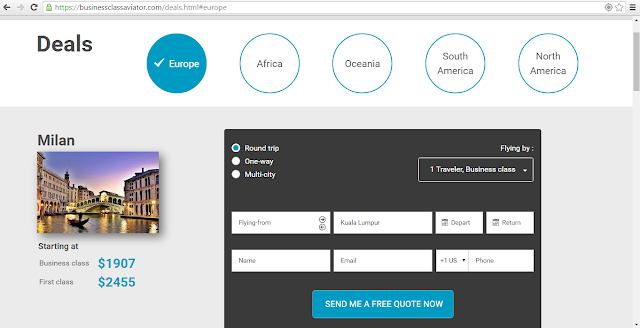 With Business Class Aviator, you can do this all with just a click, all you have to do is put your desired flight date and your to and from destination and they will do the job for you. They will find the best deal at the least expensive price for you. 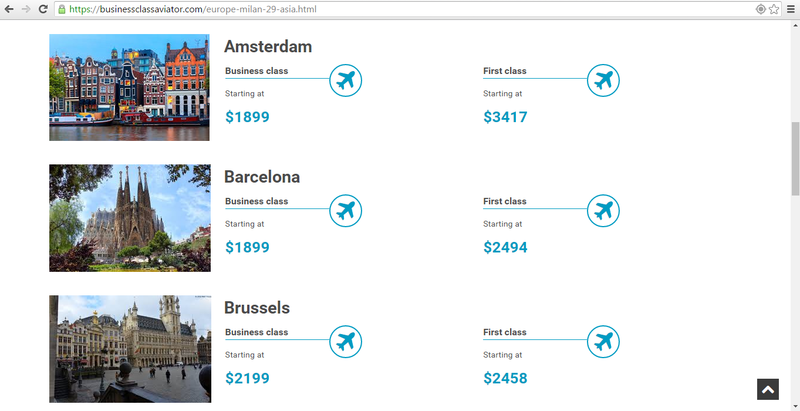 BusinessClassAviator will give you the list of prices and airlines, and you will choose the deal you like best. Best part here is that you will experience the same exact level of service that the airline is offering even when you pay full price. You will enjoy better seating and service. You will also get faster security checks and more baggage allowance among a ton of other perks that you wouldn't get if you were to fly economy. Fly like a VIP but pay just a little bit more than you would economy. How cool is that? 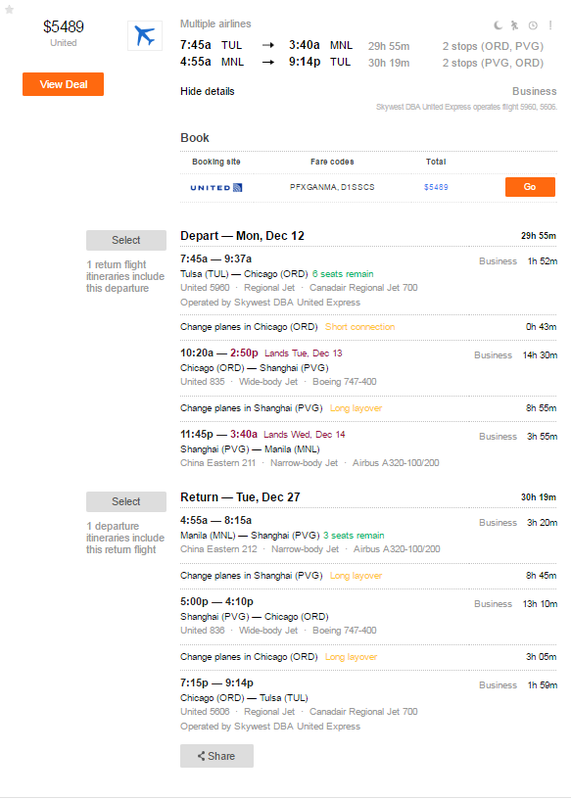 Economy fares would usually have 2 stops each way and it would cost $1,625 on Kayak. 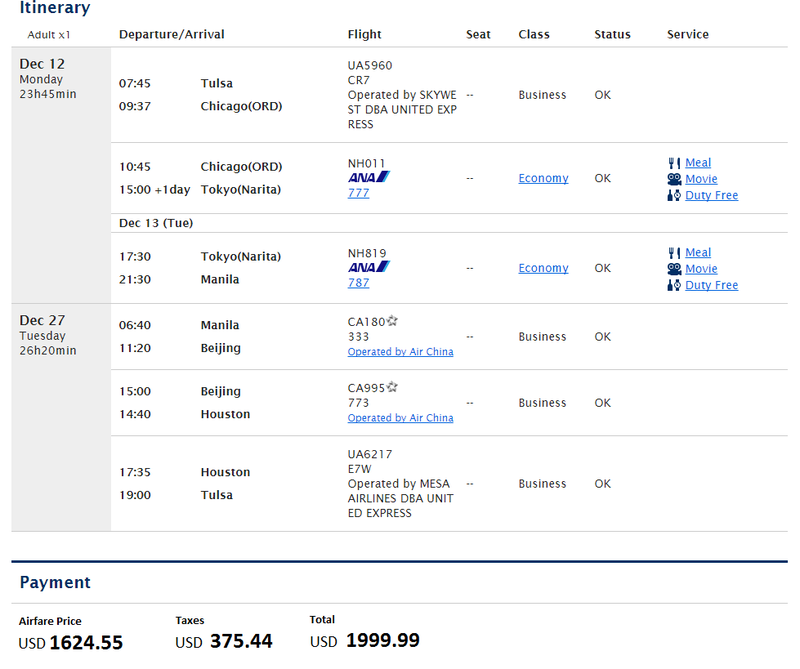 However, Business Class Aviator’s price for a business class flying with the same airline,is only $375 more. 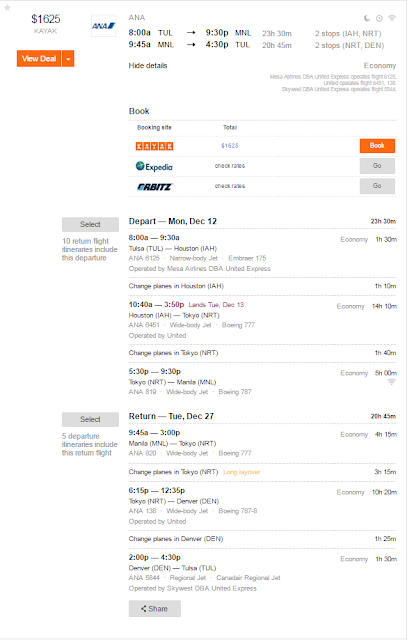 Regularly, a flight like this on Kayak would go for as high as $5,489, while Business Class Aviator offered it for $2,000 USD.That's of over $3,400 saved anda huge discount of more than 63% provided for its client. To avail this, all you have to do is to go to their website at businessclassaviator.com. Fill up all the information needed and submit a quote request. And then BCA will search for the cheapest deals for your destination. 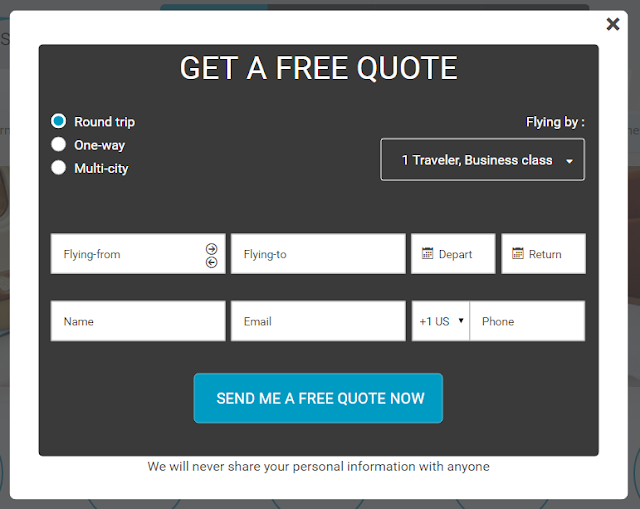 It takes less than a minute to fill out a quote form on their website, and someone gets back to you within a few hours with all the information you need for your flight. They are accepting PayPal, MasterCard and Visa for the payment. You can also get a free estimate with no information necessary, just where and when you would like to go on their website. Hassle free, fast and convenient. With Business Class Aviator, you can save up to 70% on your business class and first class flight. That’s a lot of money to save! I would love to try this on my next flight abroad. And it has to be business class!